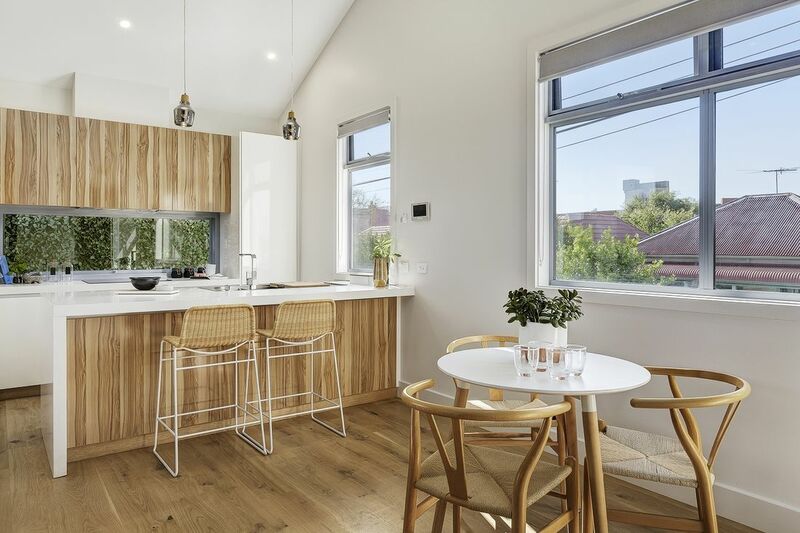 This Brunswick development built three new, stylish apartments in tandem with an existing Victorian home. 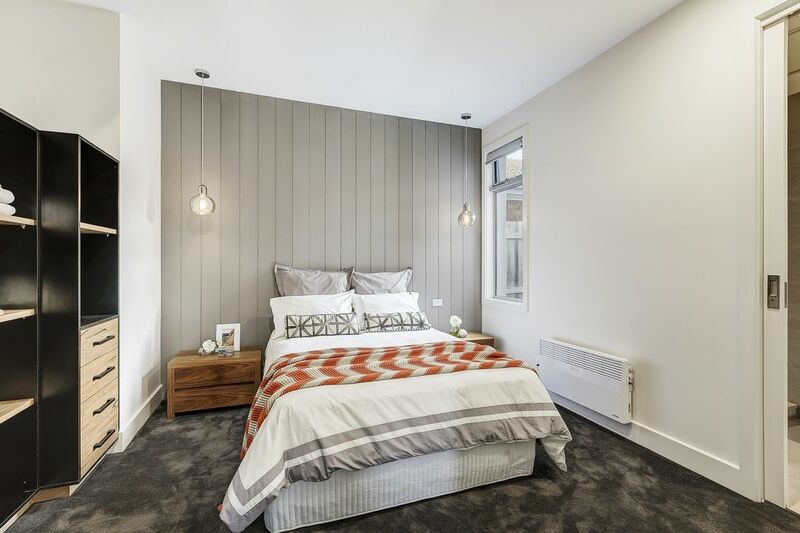 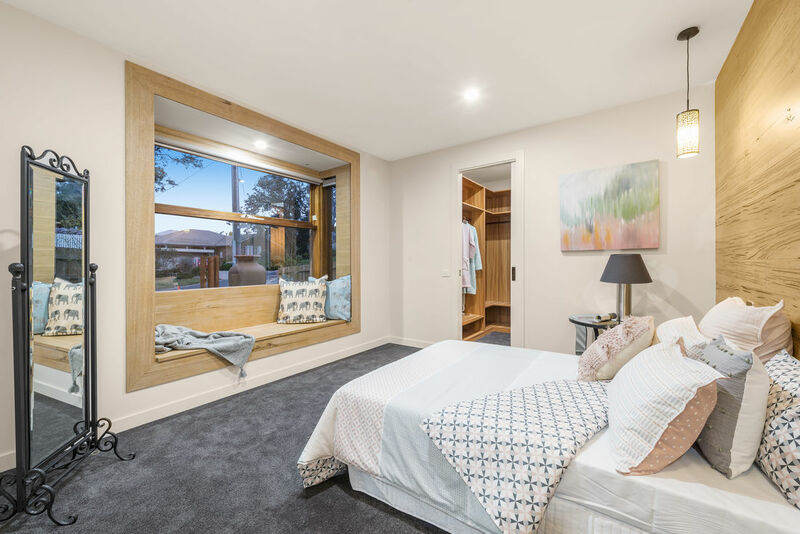 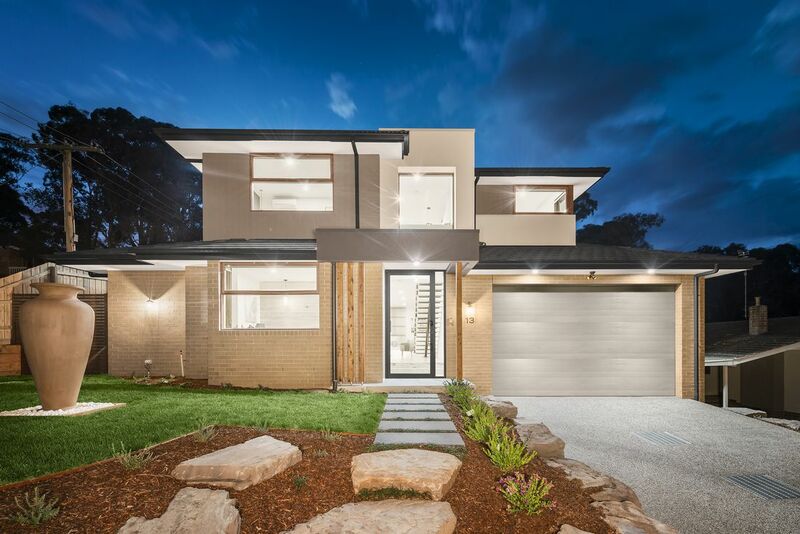 Glenrich specialises in building quality residential and commercial projects and are always on the look out for new architectural finishes that deliver a contemporary, high-end look. 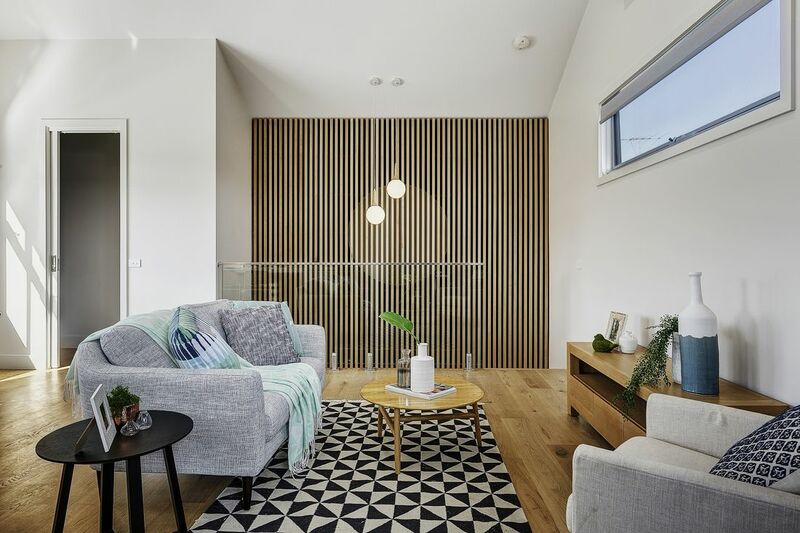 The La Rose street project features an interesting Austratus timber product in Hemlock that was used to create a striking linear timber feature wall in the stairwell. 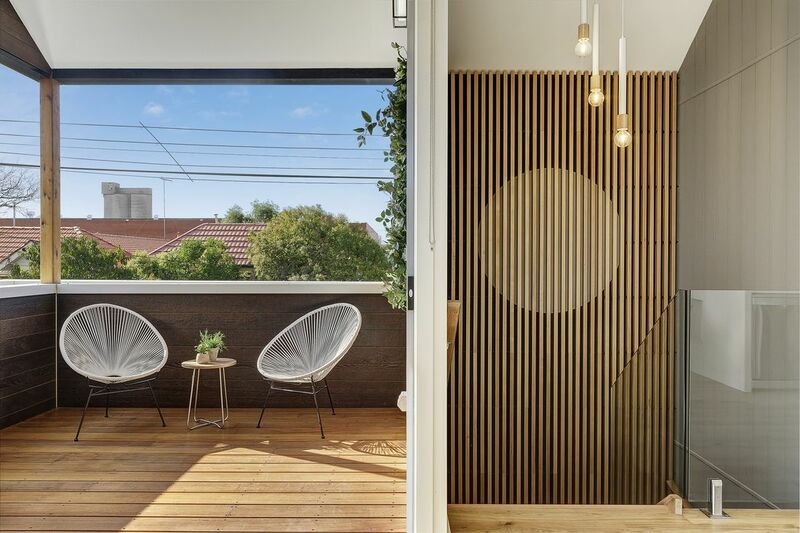 The angular Fin profile added both light and shade, with negative space creating shadows to contrast with the lightly toned hemlock timber. 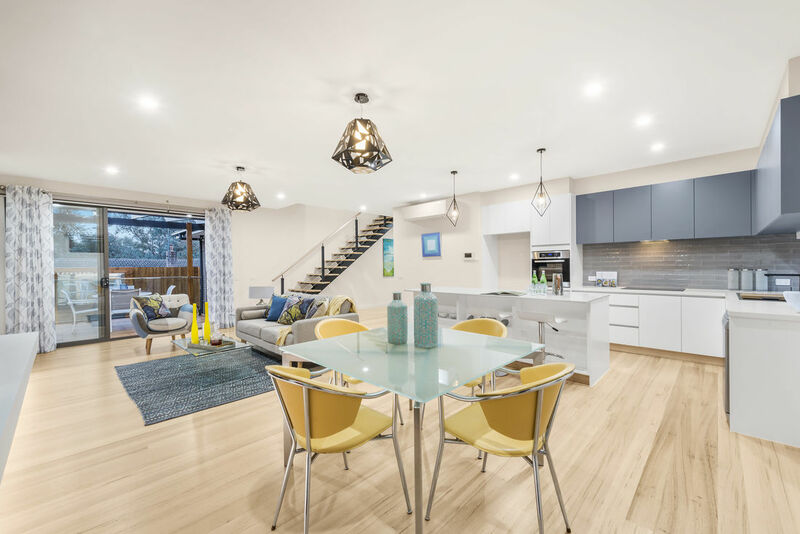 It's a statement piece drawing the eye up and around the curves of the angular staircase, creating the perfect backdrop for a cluster of pendant lights. 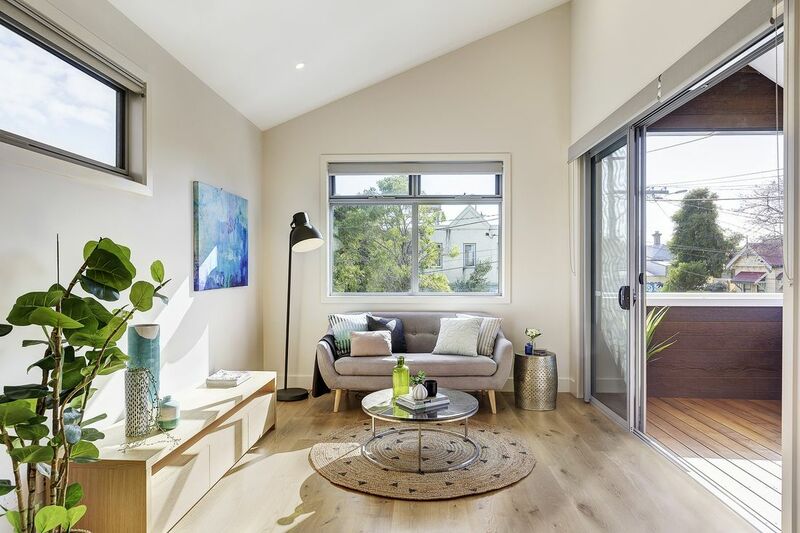 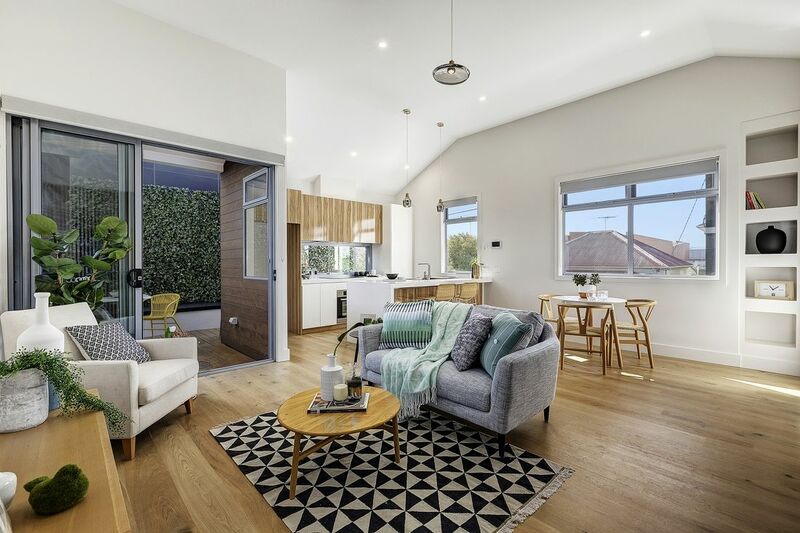 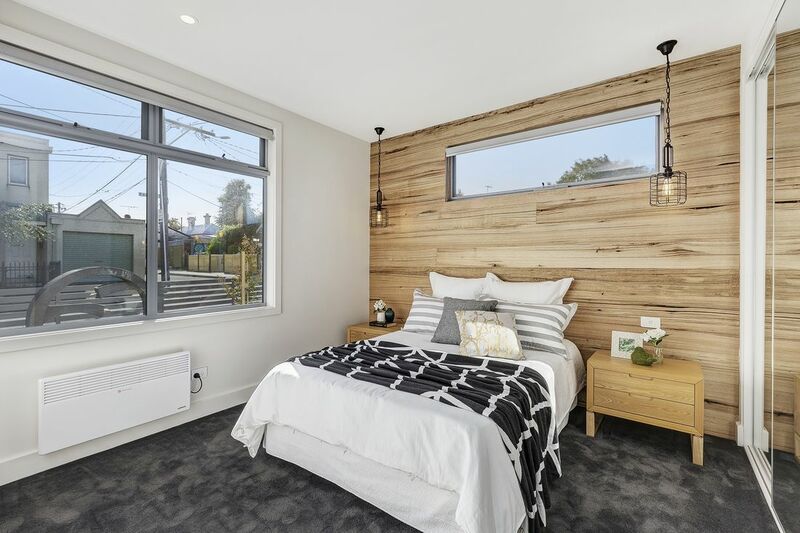 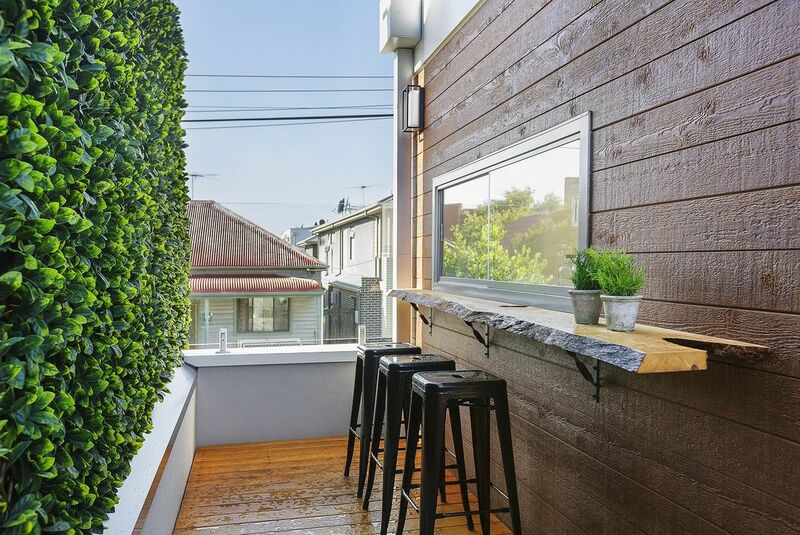 This recent townhouse development in Brunswick features timber floors, open plan living and indoor/outdoor entertaining zones. 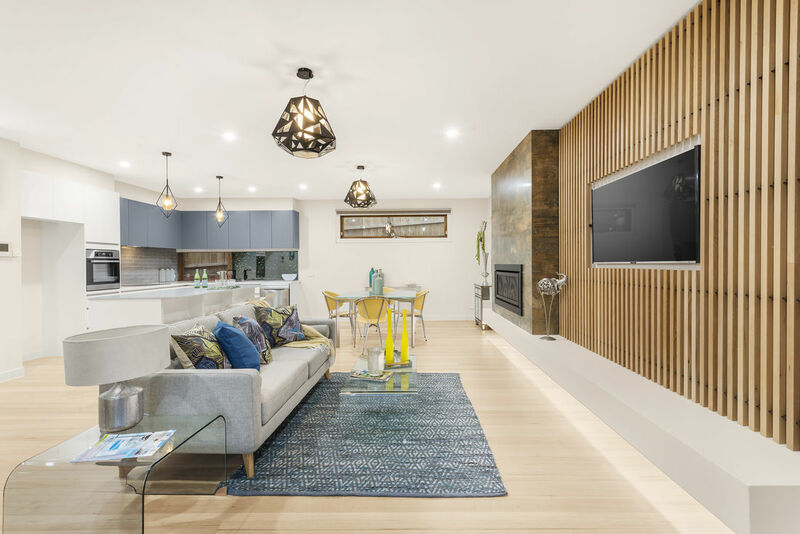  This Mill Park site was developed into a two storey architectural residence, showcasing bespoke interior features with stunning timber details.